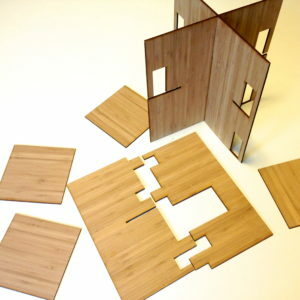 This download includes the pattern for making a flat pack dollhouse from a 2′ by 3′ sheet of 3/8″ foam core. Detailed instructions for making this house are on Instructables. This template is free, but you do have the option to name you price to support my work. Use this house to hold your own furniture and decorations, or download and color blank pop-up rooms which fit in this house. 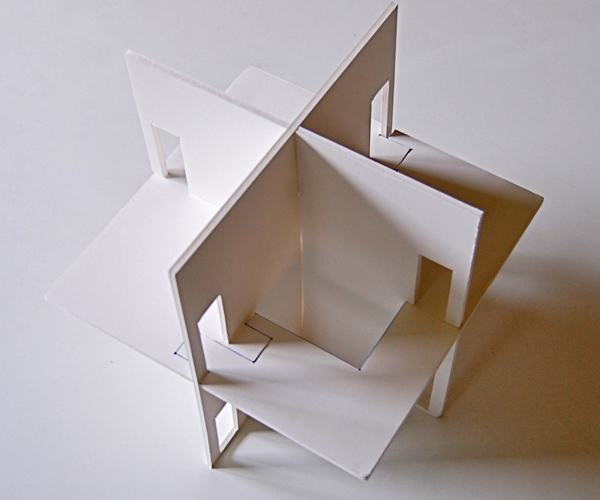 If you’d rather buy a ready-made house, choose from a laser-cut card board house structure, or a bamboo structure. 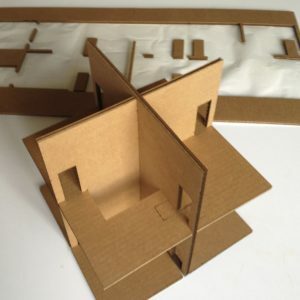 A third option is to buy the pop-up house kit, which not only includes a printed, die-cut cardboard structure but all eight rooms printed, cut, scored and ready to assemble.